The old Bridge Connector was the short cheap version of the original never released Expansion Motherboard. But the Bridge doesn't have the line protection circuits that the Expansion Motherboard got planed. 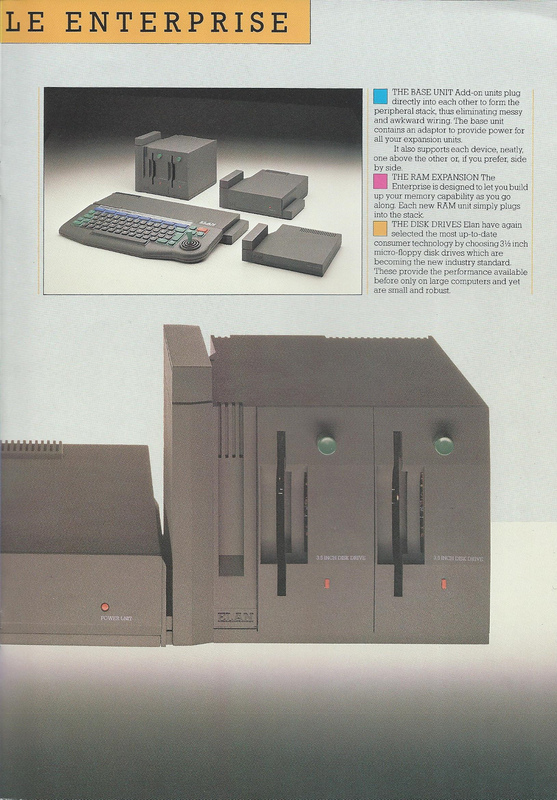 It was intended for only one expansion card, the EXDOS controller. Later, on the 90's, the great Gyula Mészáros released his Bus Expansion card and his superb expansion cards line. For it he followed the EXDOS schematics, adding some line protections, slightly different to the lost original project. 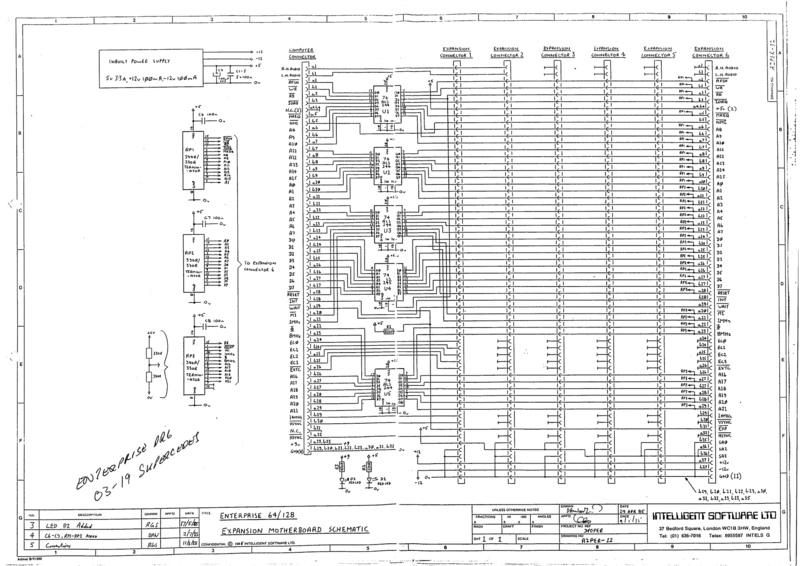 Due to the lack of original schematics, Mészáros didn't correctly use the expanded pins on the Bus, SA0, SA1, SA2, +12v and -12v. On all the five slots of the expansion card, SA0 was fixed to +5v and SA1 and SA2 to ground. +12v and -12v where left unconnected (Now is too late to re-implement the SA 3 bit code on the cards, I think, only the original EXDOS card and an external memory expansion card, never released, use it. Also, it seems that no card uses the +12v and -12v lines). 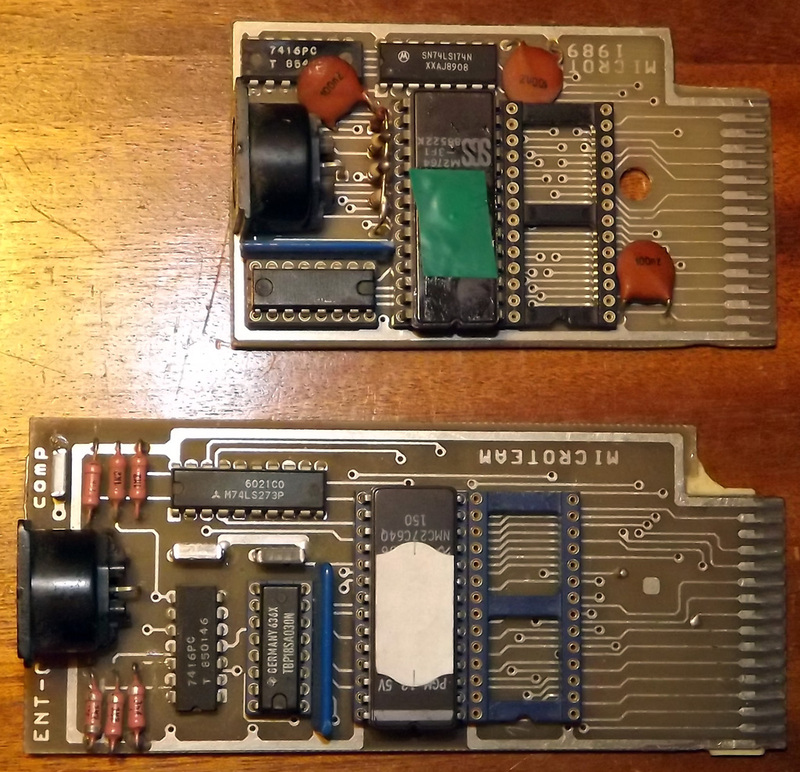 Now that the EPNET time is approaching, I would like to additionally connect to my EP the two cards I own: Pear's Spectrum emulator clone and Microteam EXDOS clone. In fact, my Microteam card, supplied by Zozo, has an extra expansion bus, similar to the short one that the EPNET card has. 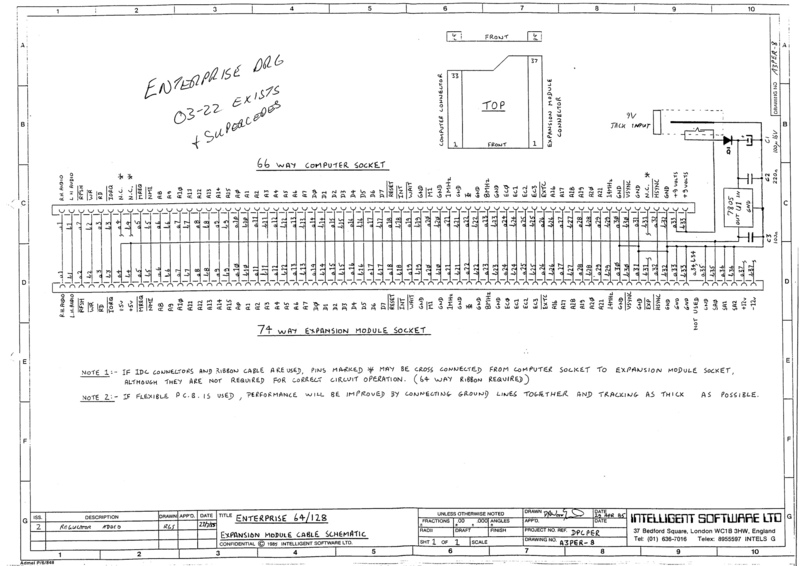 Somewhere there is a picture of another variation: a "snake" that connects devices together and to the EP (I can't find it at the moment, I am away from home). A bit like the cable that connects disk drives within a PC, but with an outer flexible cover. Both pictures were mock-ups by the Marketing Department, they were never working prototypes, probably made of wood! The problem with a heavy pile of add-ons is what happens when you nudge the EP...the connection comes apart because they are not fixed together. The "snake" would be better from that point of view. EPNET can come in a neat box and it has a connector on the back so you can add another card (EXDOS, bus expansion card, another EPNET ) as you will soon see for yourself but it took me a lot of research and a long time to find a suitable box. The one I ended up using is black rather than the EP's gray but it has the same surface texture as the EP and does not look out of place (just makes it look as though the EP has faded in the sun over 30+ years ). They come in different sizes but the Microteam card is huge and too big for any of them I haven't seen Pear's Spectrum Emulater card so I don't know about that, but wasn't he coming up with a flex expansion system? I don't like(I'm sort of lying here...) the bare cards plugged on a naked Bus expansion. That approach is good while testing, but not for a finished product for an average user. I know, the pictures(here the snake cable) are only conceptual designs, but we can learn a little from them. First a flexible "snake" Bridgeboard. I already made a cheap Bridge with only two edge connectors and flat cable. It is said from Werner that he has tested successfully with flat cable up to 50cm long. Then a little card with the line protections, the signal fixers, 5v regulator(with 9v plug) and the main expansion connector. Finally, a simple flat cable linking together the boxes. Yes, Pear has planned a flex expansion system, but it depended from a bigger project involving his own created expansion cards. We are a very disperse community, and making that effort might not have had the massive response that something like that needed. May be now it makes sense to reactivate his flex bridge project. Having said all this, I would like to emphasize that EPNET ALONE DOESN'T NEED A BRIDGE CONNECTOR, AND EVEN ACTS AS ONE... it is a wonderful piece of hardware. Well I certainly share your dislike of naked cards! It has been quite fiddly putting EPNET in a box but worthwhile I think. I don't fancy doing it for a Microteam card though, at least I am in control of EPNET's design! It's not just getting the thing in the box, it has to be fixed to the box somehow eg. screw holes in the PCB. Well I certainly share your dislike of naked cards! I am me so with this. I have one complete MICROTEAM including box. Who is only bought the PCB and dozens of clones are without box. Thanks, interesting pictures...I wondered what the top connector was for! Is it an EPROM programmer? When I made the Microteam RTC you said that the extra pin header was intended for that purpose. And how abut that small card with SMD components and batery? Has your card static Ram instead? And how abut that small card with SMD components and batery? That looks like a real-time clock to me. Several wires to connect it up - is that a later add-on? The other board has two Zilog PIO chips which are general purpose I/O chips ie. they provide registers you can read and write to control the pins that are on the end connector. My first thought was maybe a proper Centronics printer port but it is the wrong kind of connector. There are also four 4-bit counter chips and some latches. And a DB9 connector - serial? Although there is not the RS232 level shifters you would expect. I'm not sure about the two round connectors - they look like audio jacks! And there are two 32 byte ROM chips in sockets which I guess are doing address decoding. Just the sort of thing a modern microcontroller like the Atmega/Arduino has built-in. 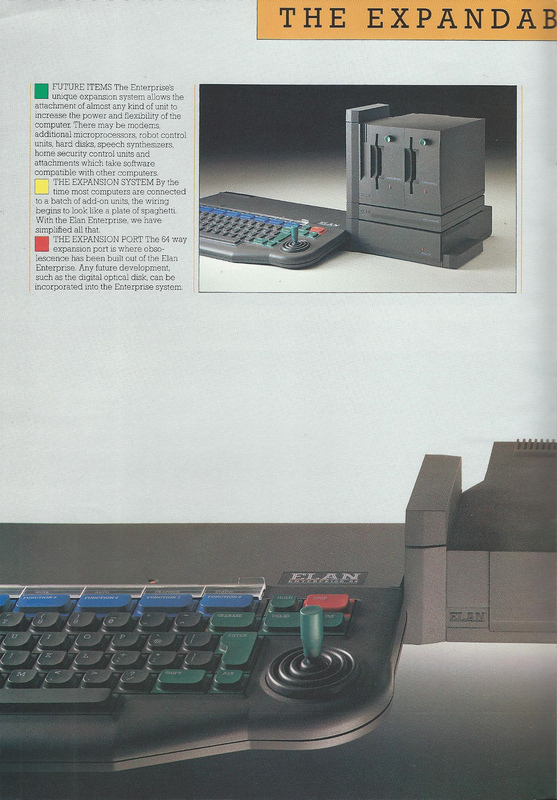 I mentioned the EPROM programmer just a example. It is a general PIO board. I currently don't know the EPROM programmer is a same doughterboard, or it is connected to the PIO board. And a DB9 connector - serial? Although there is not the RS232 level shifters you would expect. I'm not sure about the two round connectors - they look like audio jacks! I think - but not sure - these are same thing what is on the ZX Spectrum Interface 1, connecting Enterprise to ZX NET. And there are two 32 byte ROM chips in sockets which I guess are doing address decoding. Yes, MICROTEAM are very like these On their EXDOS card also can found one. And also on CBM serial interface. On the other side, the pcf8573 RTC chip communicates via serial. Do you support it on ZT?